I collect recipes of all kinds, so last night I pulled out one I found on a blog I follow, 1940’s Experiment, http://1940sexperiment.wordpress.com/. 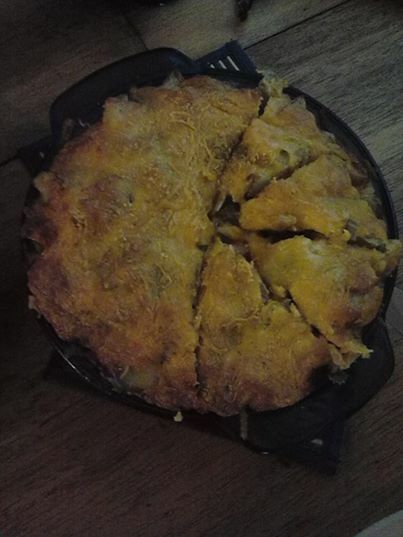 I thought the picture posted and the recipe looked and sounded delicious. I was not disappointed at all. I did make a few changes in the recipe…I didn’t have 2 large leeks as called, for so I used 1 leek and 1 large onion, plus 1/4 cup of chopped celery. I also added and extra egg yolk. 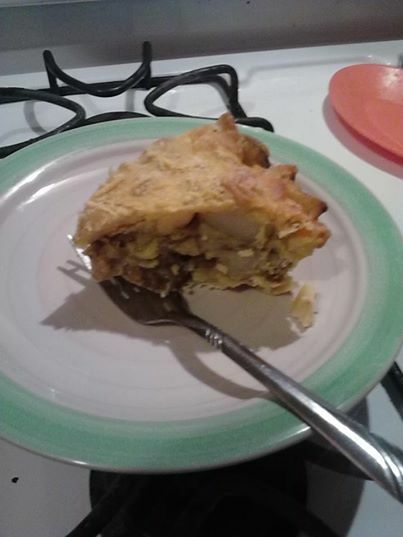 This pie was so easy to make and my family loved it. Give it a try, I promise it is finger licking good! Make the shortcrust pastry using plain flour and 3 oz fat, such as shortening or butter. Rub butter into flour to make crumbly, add 1 T water to help hold together. Roll the dough out to fit into a greased pie dish, bake in preheated 350 over for 10 minutes or so to half cook. Leave skins on your potatoes and cut into cubes, place in boiling water and simmer until tender, drain. Chop up leeks, onion and garlic and saute in a pan to caramelize onions and leeks (with butter). Add plenty of thyme (1 tsp. or so) and the chopped apple and toss. Add potatoes to pan of leeks, 1 egg + 1 egg yolk, whisked, add more butter and 3 oz of the grated cheese and loosely mix, add in lots of salt and pepper until it tastes good! Dollop mixture into the pie dish on top of the pastry, then top with 5 oz of cheese (or more if you have more to your liking. ), a sprinkle more of thyme and pepper. Grab a slice and enjoy! Did I mention this can be eaten at room temp or even cold, so it really is a great picnic take along.